This is the generation of compact electronic devices. From Desktop pc to laptop and then to netbooks .. now trend of tablets, there are tons of tablets with different configurations. So, choosing the best tablet as per your requirement is very difficult. 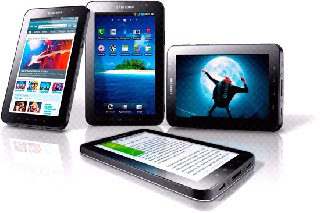 Today,I m going to guide you about how to select and buy best Android Tablets based on its features & Price . Android is an open source Linux based mobile platform developed by Google. It the fastest developing platform with no restricitions like iOS and it almost killed Symbian and Meego mobile platform. Every hardware and software developer is now developing for Android. There are 150 million Android devices and 10 million apps in Google Andrpid market.as he mobile arena. So, it is very attractive to device manufacturers, producing high quality devices. Android OS Version: Today most of the tablets comes preloaded with Android 3.2 Gingerbread OS. but Android OS 4.0 Ice Cream Sandwich is the latest one. So, Any tablet that comes preinstalled or planned upgrade to ICS will be the best choice. This OS is designed for both tablets and mobiles and it has many attractive features like battery tweaks, beautiful user interface . So,always select the ICS based tablet for best experience. responsive screen with capactive touch. Multi touch with pinch to zoom feature support will enhance your experience. Screen Resolution: Select a high resolution of1024×600 , usually cheap tablets comes with resolution of 800x480 , high resolution helps you in reading and offer high clarity screen as well. Graphics : Nothing much in this, same as processor, if you want to play high quality 3D games , you need a poweful GPU otherwise a small GPU can handle all basic tasks. DDR2 SDRAM is fast. Avoid tablets with less than 512 MB RAM and 1GB RAM is recommended. In case of storage always select the tablets with high storage and which offers extended storage options like memory card slot. Camera: There are some tablets that comes without camera ansd some comes with both front and rear camera. You need camera in case of video calls. SO, select as per your need. Wi-fi and Bluetooth : A tablet should support wifi 802.11 b/g standards . It helps in better connectivity and smooth internet surfing. Bluetooth is an extra option which may be used to transfer files and helps you to listen music via bluetooth headphones. USB Ports : - Always select the tablets with multiple USB ports. USB 3.0 is preffered but USB 2.0 can work but offers low data transfer . Battery Life: It is one of the most important feature ,capacity of battery in tablets is measured in mAh, Higher mAh means high bettery capacity, so, it will give large backupAvoid tablets with less than 3000 mAh batteries . So, these are the main points which you should consider before buying tablets. There are other features like GPS, PPi but they are extra feature which usually comes in every tablet. So, just note these points and compare any tablet with them before buying.